Every child loves a visit to the fire station. 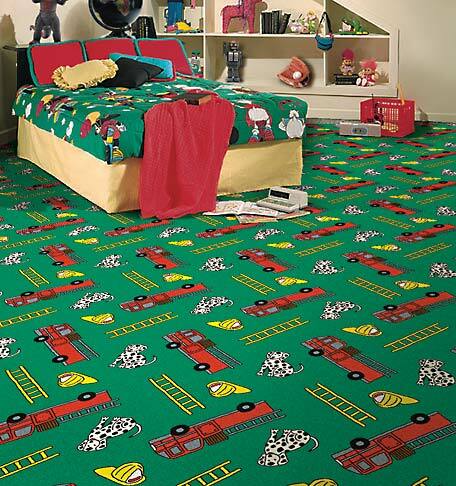 Teach your child the importance of fire safety with this carpet. Decorate your room with shiny, red fire engines and playful Dalmatians to delight the children in your life.